This is related to the other recent AeroMexico price drops, with 1 stop each way in Mexico City, except you can find flights with stopovers of a more reasonable length (90 min to 2.5 hours). Note that many of the flights are red-eye flights though. Availability looks pretty wide past mid-August of 2015. 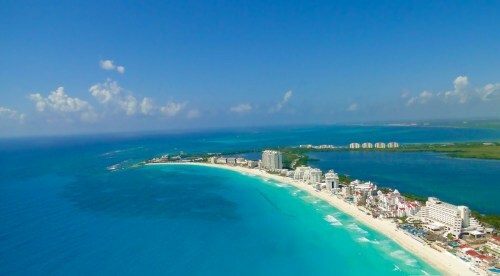 I'd say the cheap flights to Cancun in Jan, Feb, and Mar of 2016, are the most notable. ^^ click the little bar graph icon when you get to Google Flights to browse available dates. Under the 'More' menu on Google Flights, set the 'Duration' to 10 hours or less to find the fastest flights. The fastest flights have about a 90 minute layover in Mexico City each way. 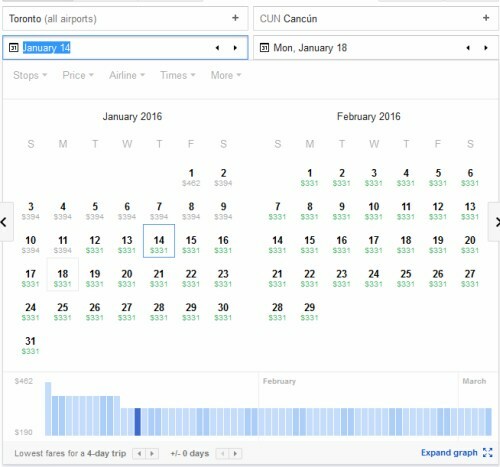 Click through from Google Flights to the AeroMexico website for booking. 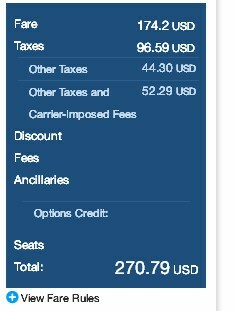 The flights should end up being around $270 USD roundtrip including taxes.